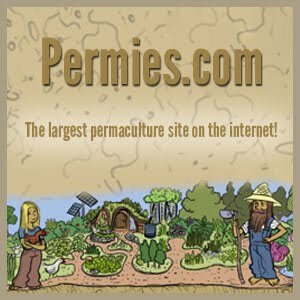 This post should be titled “bricklaying without cement” as many individuals will be expecting some sort of cement/lime based recipes for bricklaying. My advice for such materials is to follow the instructions found on the back of your bags of portland cement. 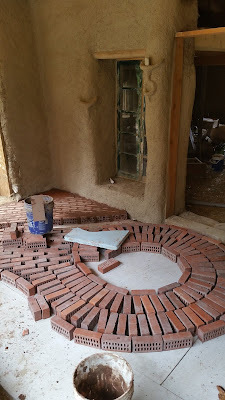 We had a moment of weakness and attempted to use portland cement for our brick mortar, but were humbled once again by the power of good earthen materials and their ease of use. Our attempt at conventional brick mortar resulted in a dry material unable to stick to our bricks and increased frustrations over a task with which we had little experience. Enter clay. Clay mortar is inexpensive, easy to make, and much easier to work with than cement. It clings to bricks like they were meant to be used together and when mixed with enough aggregate and straw, dry crack free with very little shrinking. The mix we used was very similar to the straw/clay render we’ve used as a brown coat on the outside and inside of the house walls. The finished product has a higher than normal ratio of clay as the screened soil has 20-30% clay content, but we experienced no cracking. Our experience should remind us of the resilience of earthen materials and that experimentation in our building is key to finding healthy solutions that benefit people and the planet.